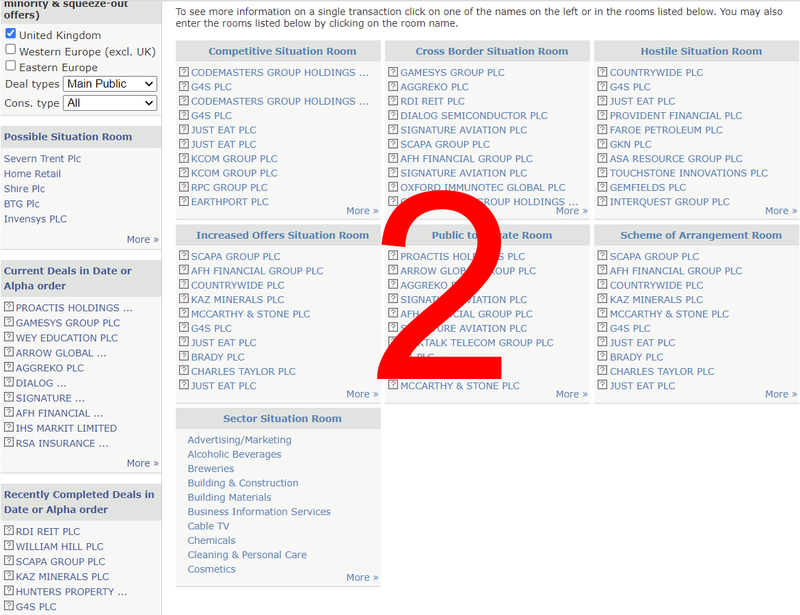 Covers UK public deal information. 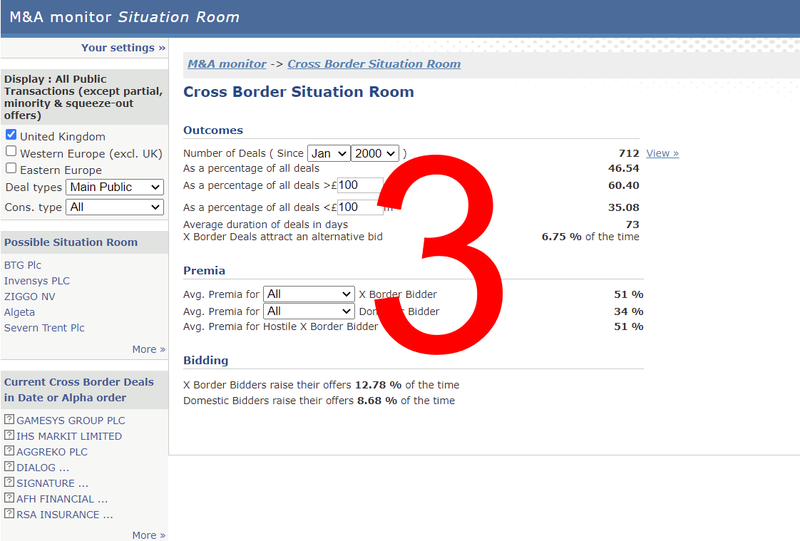 Data provided in separate "rooms" for quick analysis of differing deal types. Unique deal data allows for more subtle and granular deal coding. 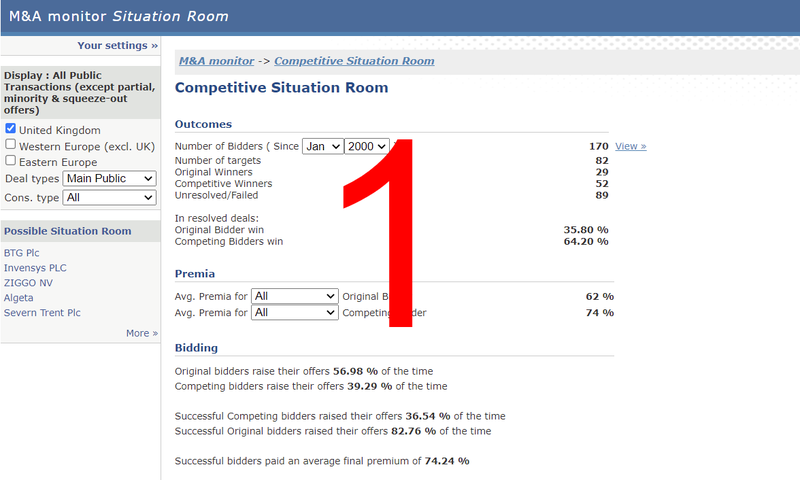 Most comprehensive bid premia data on the market allows for greater depth of analysis. Provides for quick decision making which gives clients the edge in investing. M&A Monitors ARB-Insight product has at its core information from our own M&A Database, the most in-depth M&A analysis tool available. Global investment banks use the M&A Database for comparative deal analysis and the ARB-Insight product gives users the benefits if that data but customised in a format which allows ease and speed of analysis. By pre-programming certain "rooms" which are common deal types we eliminate the need for clients to perform complex searches in order to arrive at historical outcomes for similar deals to recently announced transactions. While the data is able to be manipulated, M&A Monitor provide outcomes from deals that match any given criteria and also eliminate deals which may have distorting effects on these outcomes, providing tailor made analysis of arbitrage opportunities. ARB-Insight will tell you which party usually wins in competitive situations and what premiums they typically pay. We can show you average premiums for hostile compared to friendly deals. If investors think an increased offer is likely, ARB-Insight can tell you the average increase in historical terms for investors to gauge upside opportunities. ARB-Insight allows investors to make meaningful decisions in the briefest possible time. Search for European party transactions, public & private, with a value over €10m. Covers European mergers & acquisitions and provides unrivalled depth of analysis. Instantly reads and databases Rule 8.3 announcements to allow ease of use, alerting and analysis.